​WHAT IS A JOB SHADOW? A job shadow is a non-hands on observational experience. You'll spend limited time with a professional in the health care area of interest in order to see what their daily job is like. Are there different kinds of Job Shadows? How many hours is a Job Shadow? For students interested in the healthcare field; the experience lasts 4 hours or less. 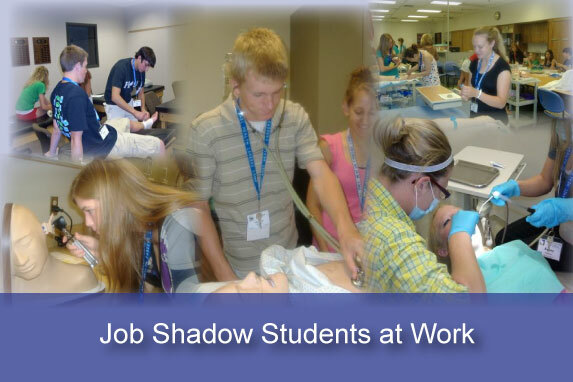 As of September 2010, high school students are required to first attend a 3 hour "Career Experience Event" in the Fox Valley area before being considered for a one-on-one job shadow. Click here to visit the Career Experience Events page for further information. An adult who is enrolled or considering enrolling in a higher education program (technical college, university, etc.) and wants to spend half a day with a healthcare professional. Some schools make this a prerequisite, but once you need more than 8 hours, requirements increase. An adult who has been dislocated from their job and is considering a healthcare career. An adult who is considering a career change, or even a position change within their field. ​Occasionally, higher education programs will require additional hours of job shadowing as a prerequisite to apply for their healthcare programs. Examples include Physical Therapy, Occupational Therapy, and Physician Assistant. Requirements vary by school. To be considered for an extended job shadow, there are additional things you need to do, including a signature from the school requiring the experience and a separate application. Definitely. Job shadows are observational experiences, most of them for 4 hours or less. 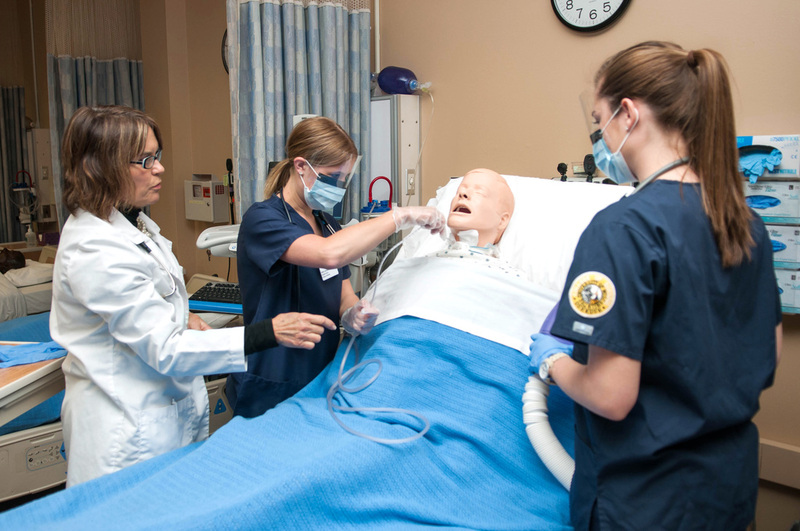 Clinical placements are for advanced students already enrolled in a higher educational program. Further information can be found on the Student Clinical Placements page. Do I need to provide immunization records prior to an individual job shadow? Yes. For any individual job shadow where you will come in contact with patients, you will need to provide proof of current immunizations as well as a TB test (required yearly), by completing a student health requirements form, which is then sent in with your application. The student health requirements form and application are provided later. No. Due to the high number of requests, the job shadow system was restructured. As mentioned before, high school students can now attend one of many "Career Experience Events" in lieu of a one-on-one experience. Because of potential liability and insurance concerns, various forms/paperwork need to be completed. So while we appreciate the fact that someone offered to help you, everyone must follow the same process. Unfortunately, job shadows are not, and cannot, be guaranteed. Area health providers do their best to accommodate reasonable requests, but it depends on staff availability, administrative direction, and other factors that can, and do change. Staff tries to respond within a three week period once a request is received. If it's been three weeks and you haven't heard back, feel free to inquire, but please, no earlier than three weeks. While we'd like to accommodate every request, that is not possible, so we prefer you take some time to really research areas you are interested in and then narrow it down before selecting an area. If you are a high school student, remember to check out the career experiences events first as it's a requirement. ​I'm an adult student enrolled in an out of state or an online program. Am I able to do an extended job shadow experience? It depends. We suggest you fill out the application and send it to a facility which offers the career area you need, but please note that the first priority of the FVHCA partners is to assist local students who are going to school in the area/state of Wisconsin. Once you have identified which length of job shadow fits your needs based on the information above, click on the correct link below to begin the application process.